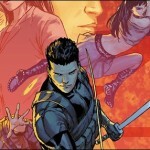 These are the full Aspen Comics May 2013 comic book solicitations – courtesy of Aspen. 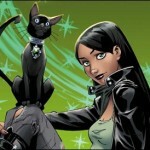 CHARISMAGIC returns as Aspen’s newest ‘10 for 10’ debut! Magician Hank Medley thought he had everything figured out. After saving the world from an ancient, ruinous evil, with the help of a Druid named Sudana and his magical talking cat Sparkles, Hank discovers the true nature of dark magic has arrived in his own realm—our world! Now, the trio must attempt to put an end to catastrophic events that will threaten to tear Earth apart under the weight of such a menace. Featuring a returning cast of Charismagic’s favorite characters along with several new and astonishing faces and creatures of magic, this new volume of CHARISMAGIC is a perfect jumping-on point for all! 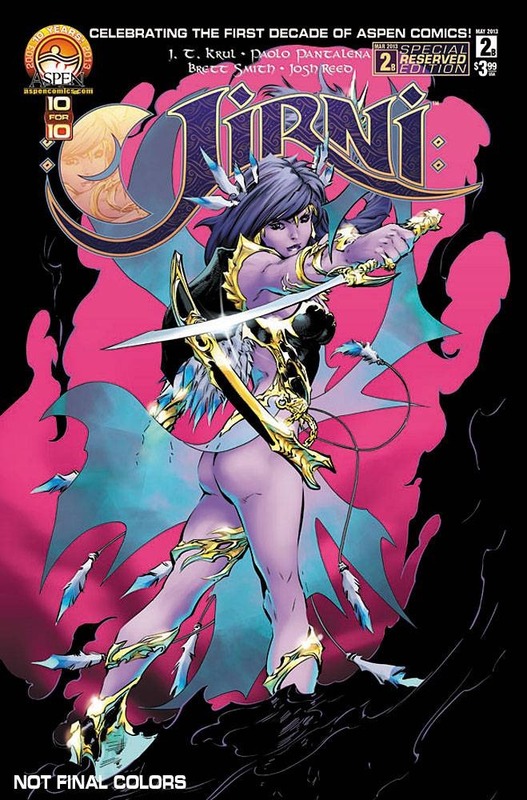 Joined by the sensational artwork of Vincenzo Cucca, CHARISMAGIC creator Vince Hernandez and colorist Emilio Lopez are ready to take you on an amazing ride in this newest volume of the acclaimed hit series. Be prepared because everything you thought you knew about magic is about to vanish! 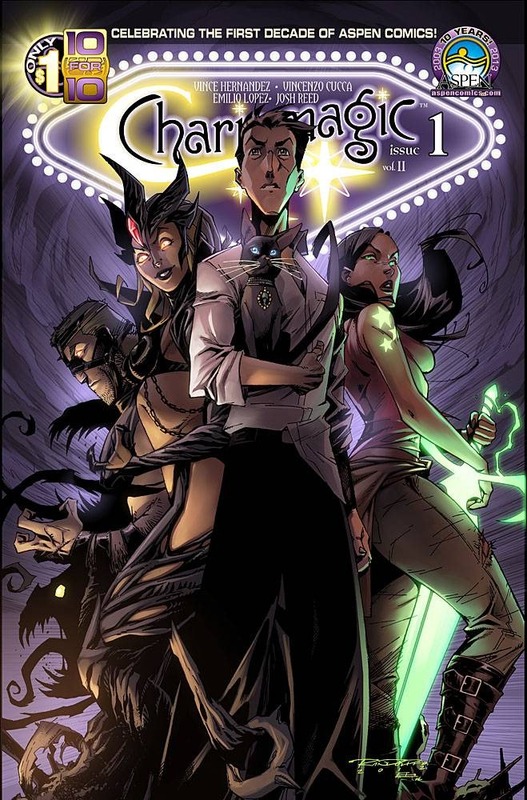 CHARISMAGIC #1 is in stores May 1st, 2013! Take an incredible JIRNI with Aspen’s newest hit series! answers to the questions that torment her. But as Ara has learned time and again, nothing shall come easy in this unrelenting world. Will she have the strength and courage to venture into the pit of darkness itself to find the truth – not only about her missing mother but about herself as well? After years of preparation, creator JT Krul is ready to take you on a JIRNI unlike any other! Accompanied by the incredible talents of artist Paolo Pantalena and colorist Brett Smith, this is one JIRNI you won’t want to miss! 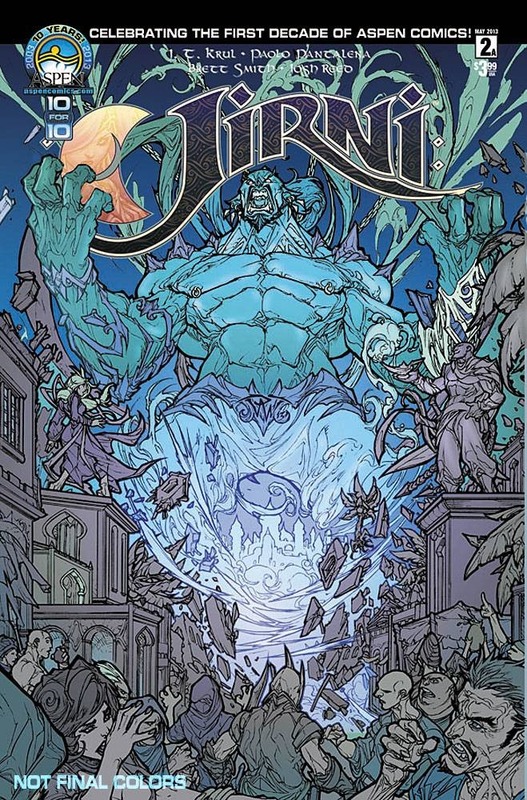 JIRNI #2 is in stores May 22nd, 2013! You think you’re prepared, but you’re not. You’ve been decisive in your actions up to this point, but now things have been turned upside down. You feel you’ve conformed your mindset and are ready to accept what you’re about to experience, but you haven’t. That’s because SHRUGGED is back and ready to blow your mind! 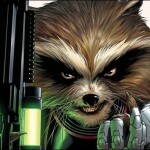 Perspecta has a new dark ruler as Lord Slive revels in his takeover and now plans his attack on planet Earth. 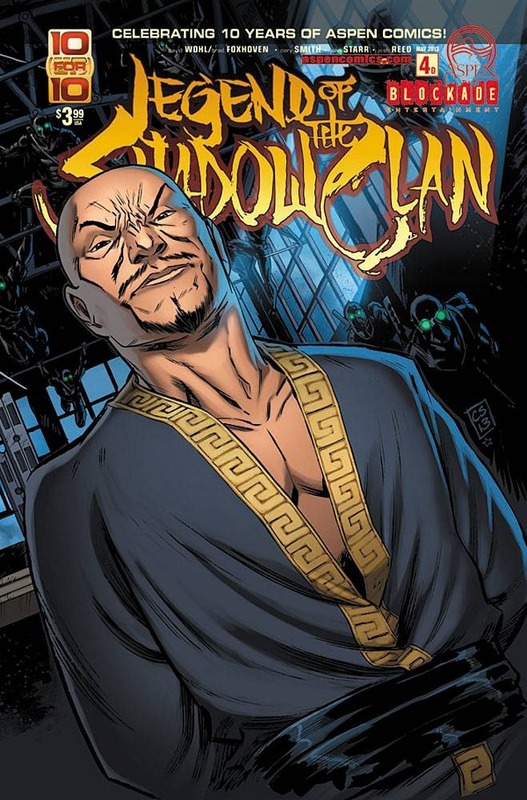 Barely surviving with his life, Magnuss, the ousted true leader of Perspecta, reaches out for help, but who will come to his aid? Meanwhile, Theo’s girl troubles are heating up as he’s torn between the three women in his life. Those may be the least of his worries though because something bad has happened to Ange and Dev, and Theo may not survive their new transformations! 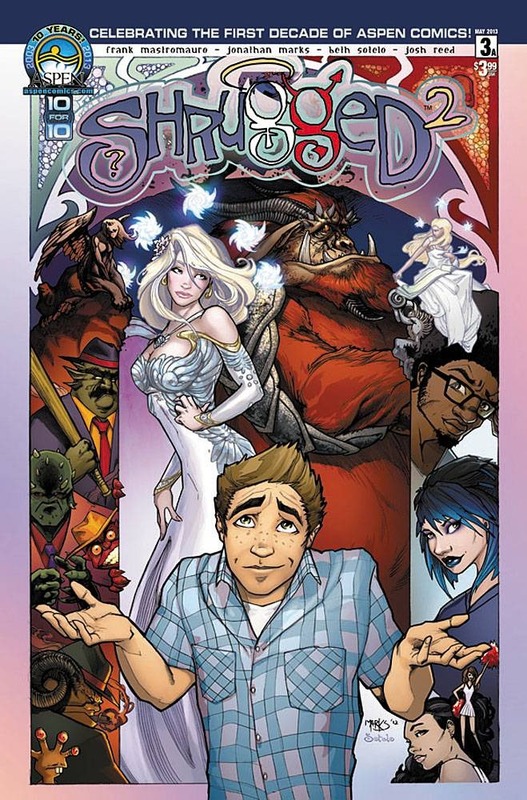 Created by Michael Turner and Frank Mastromauro, with illustrations by newcomer Jonathan Marks and colors by Beth Sotelo, make sure to listen to the voices inside your head and pick up the newest issue of SHRUGGED today! 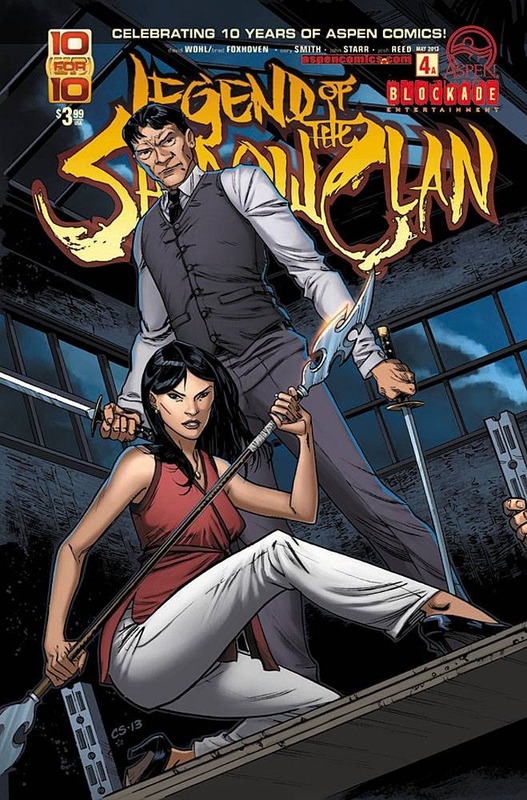 SHRUGGED #3 is in stores May 15th, 2013! 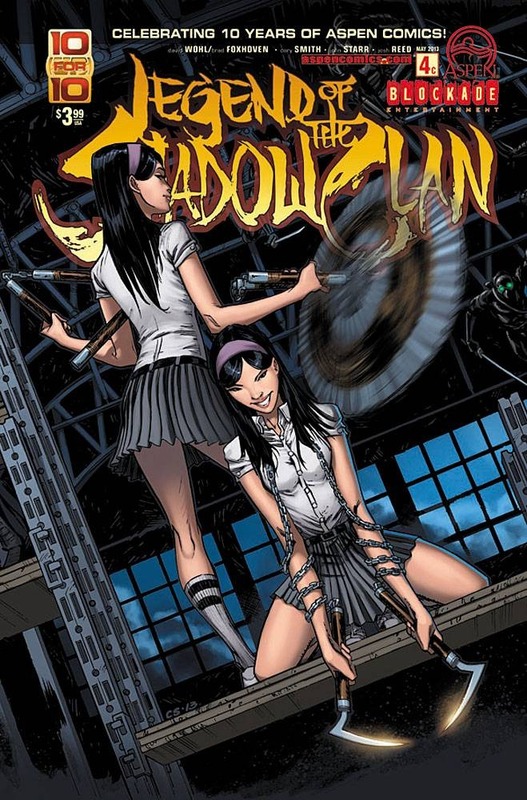 What is the mystery of the LEGEND OF THE SHADOW CLAN? 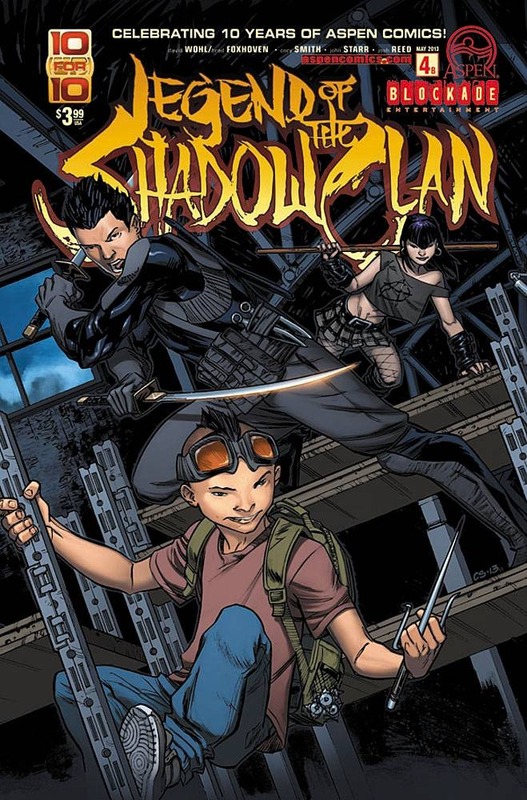 Now that Morgan Himura and her family have learned that they’re descendants of a long line of ninja warriors called the Shadow Clan, one would think that their lives would vastly improve. Especially since the Himura siblings seem to be gaining a better understanding of their unique abilities and talents–especially Morgan, who has always excelled at anything she’s put her mind to. But, there’s a reason why the Shadow Clan had been in hiding for centuries–and now that the Himuras are out in the open, their ancient enemy, the Ghost Clan, has wasted no time in tracking them down. Ready or not, today is the day the Ghost Clan takes the fight to the Shadow Clan! 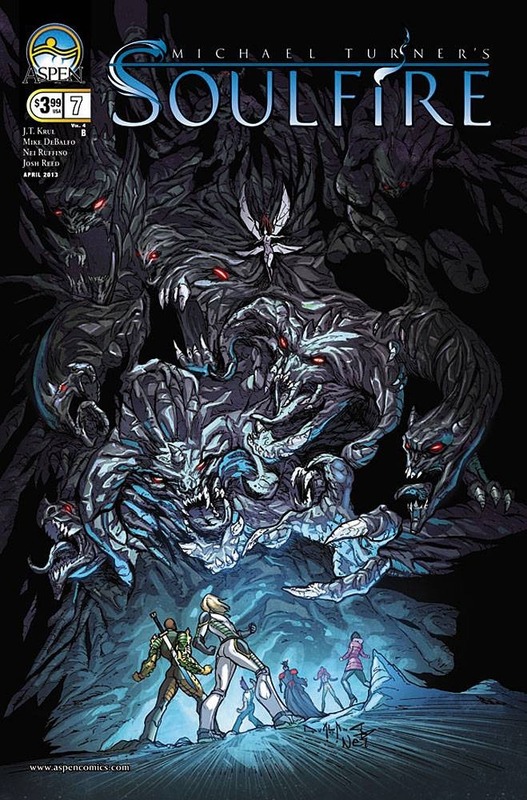 LEGEND OF THE SHADOWCLAN #4 is in stores May 8th, 2013! The fan favorite ASPEN SPLASH issue makes waves again this summer! Join Aspen as we celebrate ten amazing years of publication by offering this special ASPEN SPLASH 2013 SWIMSUIT SPECTACULAR Anniversary Edition issue featuring a gigantic roster of Aspen’s finest artists from past to present! 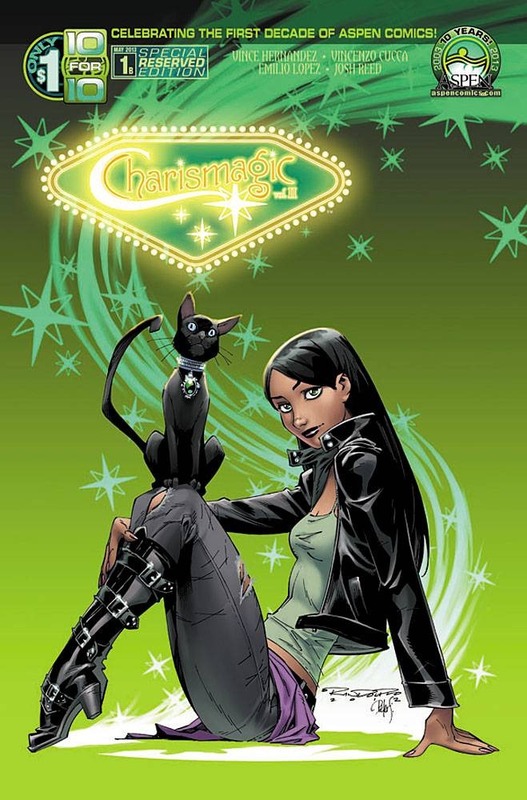 Including many of the most breathtaking and classic pin-ups over our first ten year span—including founder Michael Turner’s most iconic pieces, as well as a host of new gorgeous pin-ups showcasing tons of fan favorite Aspen characters. Jam-packed from cover to cover with nothing but breathtaking art, this exclusive Anniversary Edition is one swimsuit spectacular that simply cannot be missed! ASPEN SPLASH 2013 SWIMSUIT SPECTACULAR – ANNIVERSARY EDITION is in stores May 2013! Explore the creation of a master assassin and the tragic past of Executive Assistant Lotus in “Bloodline”, the origin of one of the EA Universe’s most popular—and deadly–heroines. As a child raised in India, Rani (Lotus) was continually teased amongst her peers for her vulnerability and proclivity towards technology and science. However, following a horrific turn of events that shatters her existence at its core, Rani must choose to grow up fast, and to rely on her survival instincts and technical expertise in order to survive—or die! 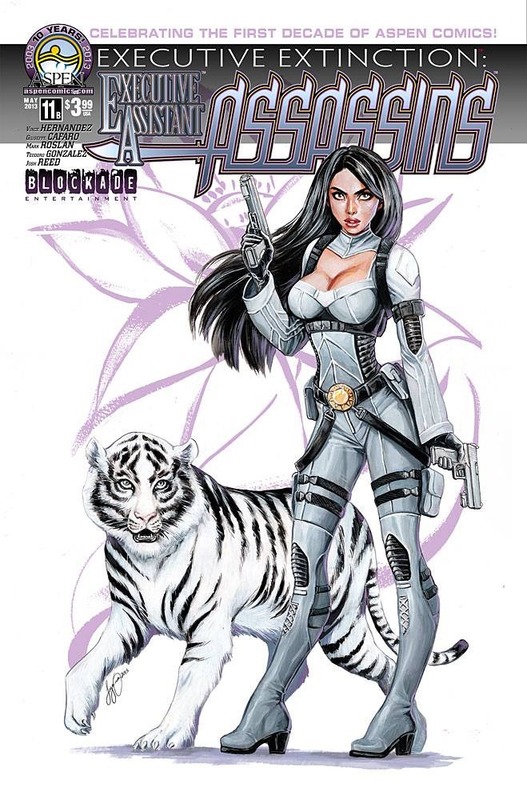 EXECUTIVE ASSISTANT: ASSASSINS #11 is in stores May 2013! Michael Turner’s epic fantasy adventure approaches its climatic finale! Once before, Malikai was lost to the world of the living, trapped in a hellish abyss of chaos and misery. Thanks to Grace and his friends, he was saved and given another chance at life. So what on Earth could bring him to return to that desolate realm? The time has come for Malikai to journey beyond the edge of all existence and come face-to-face with one of the driving forces behind all creation – Behold! The great god of Chaos! 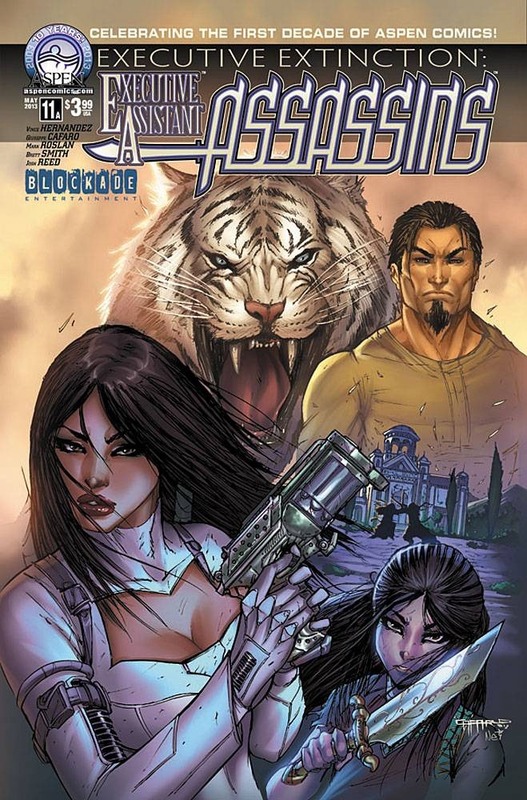 SOULFIRE (vol 4) #7 is in stores May 2013! Everything we thought we knew about magic will…Vanish. Hank Medley is a Las Vegas magician at the top of his game. For Hank, everything comes easy: women, fame, and overwhelming fortune. However, ‘Hank the Magnificent’ soon realizes that in Sin City, your luck can change at the drop of a hat–or wand–in his case. Powerful forces of magic once banished from our reality have returned, and Hank is about to step out of his stage show “Charismagic”, and into a world where the wonders of magic have not only come back, but are even flourishing! However, with some of these newly arrived beings intent on vengeance for deeds done to them in the past, will Hank be able to survive this new landscape of reality-and magic? 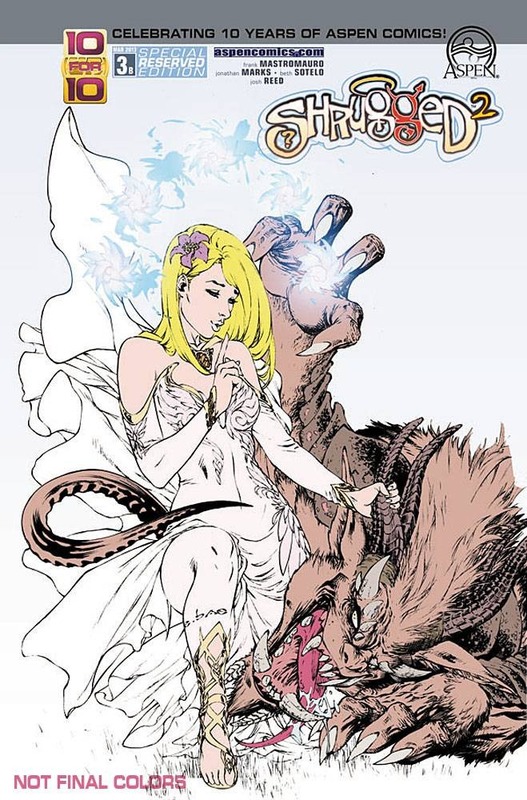 Collecting together the sold out zero issue and issues 1-6, along with a complete cover gallery and an extensive sketchbook section, magical creatures of myth and legend, wizards and sorcerers of immense power, and so much more come to life in this thrilling first volume of the critically-acclaimed series, CHARISMAGIC! 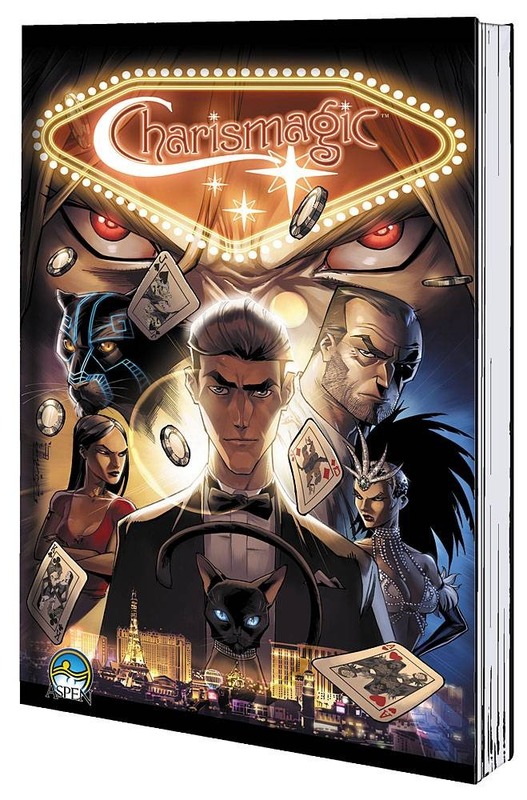 CHARISMAGIC VOL 1: THE VANISHING TPB is in stores May 2013!